I just discover the Spartan Diet. After i found a place on Mount Athos monestery were the monks seem to live very healthy on a vegan-vegietarian diet. Searching on i found the Spartan Diet. Spartan were a warrior culture. Popular in the Hollywood movie 300. The Spartan Woman were only for getting the fittest and strongest children. They were taught very disciplined and killed each to get more discipline. So only the fittest surive and hold together in war and fight. This websites makes a diet out of this. I remember from dokumentaries that the Spartans drink fresh blood. THis site calls things which are known by Western Price people. Do you think its possible to adapt the spartan diet. Or Were the healthy way of the Spartan People more than just diet. The very disciplend and trimmed society? I'm a little sad that Hitler was a vegetarian. Change that and I'll reconsider eating less oysters. Now what were you going to say about those Spartans? In 2013 there still is no book by this guy. No apologies. Only teasers. Elgan you spellbinder. 2 years no book. I never did find the book by Elgan and his buddies. The only one I found on abebooks was by a guy named Lessing, published in 1997. It sounds awfully silly, what with vegan monks drinking blood and all. I'm afraid so. The Spartan Diet is a long story, because the diet is not just about what to eat, but how much, how to store and prepare it and so on. We're working on it fast as we can, and it will be out soon. Fermented grains don't make people feel like crap. Unfermented grains (the kind most people have eaten since the industrial revolution) are essentially inedible, but fermented grains fill you with energy and maintain your mental clarity. In the ancient world, of course, there were no processed industrial foods, hard liquors, artificial colors, etc. Dietary problems were usually a function of social class. The rich ate too much, and food that was too fatty. The poor suffered from deficiencies of one kind or another. However, in Sparta, they attempted to use food to eliminate social class. No "delicate food" of the rich was allowed on the common table. But dietary quality and variety was mandated by law. Their most prominent fruits were pomegranates, apples, cherries, dates, figs and, of course, grapes. Second was the Spartan's reputation in antiquity. Plutarch summed it up nicely when he said that the Spartans "in war and in sports were by far the best in Greece." War, in this case, was primarily a contest of physical strength -- a pushing match between opposing sides, which often followed a multi-day march. I'd like to downvote this for gross simplification (but can't, not enough repping power). Yes, the spartans were famous for their physical fitness, but those statues show only one thing: the WORSHIP of physical fitness and excellence. What they do not show is their actual level of fitness. And what does "radical" even mean in this context? Well if you are about to try it please stay TF out of my neighbourhood! @Elgan, cool, well thanks for taking the time to thoroughly reply to me. Best of luck with the book. In any case its always good to see more people advocating eating whole, unprocessed foods. I too tend to think that many people would fair better on goat dairy. However I also think that once one attains health - fit, active, lean, no inflammation, etc - cow dairy will be tolerated with no problems. Not at all, in any way, necessary for health for sure, but I don't see it as deleterious to fit, active people. You guys don't dig on the animal fats, though, huh? But the Spartans were, like it or not, "civilized" -> able to take advantage of agricultural products and some methods of preparation and conservation. Of course there are overlaps with paleo principles, but i'd submit that most of the spartan population was far from healthy since meat was a privilege until recently (talk about legumes and grains as the poor mans protein). Since i am all for eating healthy, it's maybe just the labeling that sets me off. +1 for using olive oil btw. That comment just scratches the surface. The Spartan Diet is very specific about optimal quantities (often very limited quantities) of each kind of food. Also: Fallon's book is all about food, whereas the Spartan Diet goes much further into lifestyle for optimal health. Weston Price is really into cow products -- beef, butter, milk, etc. and especially animal fats -- whereas there is no beef or cows dairy on the Spartan Diet, which OK with very limited quantities of rawvgoat's milk and raw goat's milk cheese (and sheep's) given its vastly more human-compatible structure. We agree with and support the WPF's support of raw dairy, we have found raw goat's milk is much better for you. Most fats on the Spartan Diet come from plant sources -- nuts, avocados, olive oil -- rather than animal sources, as advocated by the Weston Price Foundation. Uh oh, I read superfoods..
they were nothing like Hollywierd portrays and were short people is the point I was attempting to convey to the original poster before being lost to semantics.You are right I am wrong-gladiators were not Spartan...feel better? As far as agriculture adoption and grain intake still not much difference IMo. At least the Spartans had relatively positive attitudes towards women, not like those uncivilised Athenians! actually this is about people from sparta, which is now a part of greece. THis isnt about amixed ethnic group of gladiators. Whatever gladiators are or were. Spartan were something different. the poimt is. You cant compare spartans with a mixed group of gladiators. Sparta were from Sparta which is now a part of greek. Maybe someone also research on this and be consise and correct here. Well that is always the problem with historical re-enactment. In the case of Greeks it is sort of absurd since they actually wrote stuff down and we can have a good idea of what they were eating. Grains/bread was indeed a big part of the ancient Greek diet outside of Sparta--hell, even within Sparta since most of Sparta was comprised of slaves. But you're not going to get nearly as many converts to your fad diet by telling people to make a pigs blood/offal/fatty bits stew. Probably even less if you tell them this is what child molesting slave owners ate 2000 years ago. Gladiators were slaves from all over. Since contemporary historians at the time wrote this stuff down, we know what Spartans ate. And it was pork stew made with pork, pork blood, vinegar and salt. They sometimes ate bread, figs and cheese with that. But mostly pork. This stew was considered vile by most other Greeks, including probably the Helot slaves that were cooking it for the Spartans. In any event, the Spartans were pretty much all around horrible people. Gladiators were an ethnically heterogeneous group--a large number of whom were slaves (at least for much of Roman history). Some were Greek, some were Jews, some were North African, some probably from the Germanic tribes, or Gauls or Celts, and yes, some Romans by birth. I haven't seen anything out there in quick search on Gerald's diet. Other than chicken. Seems like a lot of actors fall back on that + veggies + whey when building up for a movie. He apparently fell pretty hard in the 8 months after the movie though (burgers and shakes). Gerald Buttler did he went on a spartan diet for the movie 300. I dont know i think it is very interesting if you include more resources than just one. Maybe the training plan of Gerald Buttler for "300". Gladiators are not Spartan. Spartan were a worriar culture. Gladiator were a game culture in the roman empire. Gladiators are Roman, Spartan are Greek. The Spartans also practiced slavery, infanticide and institutionalized pederasty. You should maybe include those practices into your lifestyle as well. This is why historical re-enactment is dumb. It's awfully convenient because there hasn't been much paleopathology done on Spartan remains that I can track down. Without study of those remains it's hard to tell what their health was actually like. Were they powerful warriors when they were young, but died bent and toothless? Who knows. I know one thing that people miss in the Mediterranean diet is the importance of fasting in traditional Greek culture. The monks on Mount Athos fast a lot. They are also close to vegan, but not totally, since they eat mollusks. Overall, they have an ascetic life of prayer and community, which probably counts for some health. They also typically don't go there until they are older, so they aren't eating this diet their entire life. Occasionally I've come across that blog, but the author doesn't seem to have the greatest grasp of science or stats. The diet he/she is promoting is like the fat-phobic version of WAPF. I question how much info is really truly documented on the Spartan diet... There's a ton of myth going on there. Sorry to find this conversation so late. I'm one of the authors of the upcoming book The Spartan Diet, and the blog mentioned at the beginning of this post. The Spartan Diet is not a re-creation of the diet of ancient Spartans. It's informed by their diet, and also by the ancient Greek diet, but includes superfoods from around the world. Above all, we learn all kinds of specific lessons the Spartan culture has to teach us about moderation, physical training and many, many others, all of which are detailed in the book. We love the Paleo diet, and the Spartan Diet shares many of the principles of it, including the elimination of what Paleo fans call "processed foods" and what we call "industrial foods," elimination of sugar, deep-fried foods and many other thing like that. The Spartan Diet differs from the Paleo in two very big ways, and in many very small ways having to do with food preparation, mostly -- the Spartan Diet, for example, is very big on fermented foods and is far more detailed on sophisticated (but easy) methods for healthy food production. The big ways are over meat and grains. Most Paleo diet fans eat beef, as well as chicken. We regard these as industrialized species selectively bred for passivity and obesity, and they're not on the Spartan Diet. 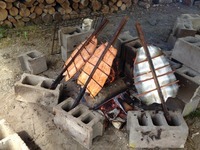 All animal flesh on the Spartan Diet is wild fish and wild game. We also think most Paleo fans get far too much protein from meat and far too little from plant sources. The second big divergence is over grains, which are welcome on the Spartan Diet in fermented form. You'll note that nearly all the evidence in the Paleo literature against grains comes from the beginning of civilization (early farmers were short and sick) and the end of civilization (industrial revolution and the current obesity/diabetes epidemics). Between these extremes traditional cultures all over the world fermented (and many still ferment) their grains through "sourdough" bread processes, and with liquid ferments. Fermentation nearly eliminates antinutrients, and radically increases the bio-availability of nutrients in grains, and even produces new nutrients. Paleo fans who want to take their health to the next level will be able to "Spartanize" their Paleo diet to take it to the next level. Grains are not required, and Paleo fans who oppose grains can skip them. No big deal. The most important thing is to stop eating industrial meats, and prepare foods using the extensive list of Spartan Diet principles and cooking methods for maximum health. Err... Spartans barely ate ANYTHING ELSE than meat... get your facts right boy. Otherwise we'll eat you alive and drink your blood. I understood Gladiators would eat lion hearts before a fight. Why attack this guy for coming on here and being accessible? There is an awesome lecture series on ancient greece (and sparta) on youtube. 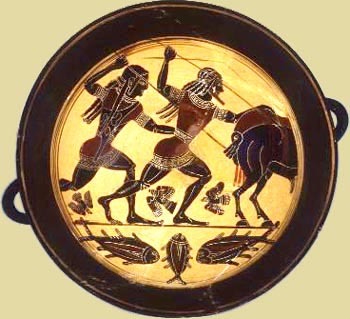 Linking to the episode about sparta right now, but the whole series is worth watching. "Do you think its possible to adapt the spartan diet" for me personally absolutely not,my ancestors did not eat grains and they make me feel like crap.did you know gladiators were actually chubby?preferred food for adding fat...beans and grain. Did you know the people of this time period in this geographical region were very short? like 5-5.5 feet tall. Or Were the healthy way of the Spartan People more than just diet. yea and who says they were healthy? The very disciplend and trimmed society? huh? Thank all you good folk for your interesting input. A little sad all this emphasis on fine details of health, when the main reason for being vegetarian is that in addition to its being more than adequate for health and vitality, it is the only way we can avoid two billion humans going to bed hungry every day of their short lives. Nearly half the planets agric. land is being diverted to feed 52 billion farm animals - artificially bred and funded by just a few billions often sickly humans. Edward King, 23 years beef/dairy farming, 43 healthier, happier, productive years solely on plant nutrition. There is every indication that the Spartans were the healthiest people ever. 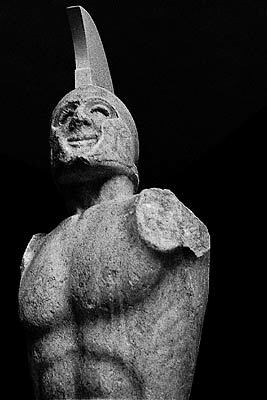 The few statues that survive showing everyday Spartan people suggest radical physical fitness. They lived long lives. They dominated the Olympics. 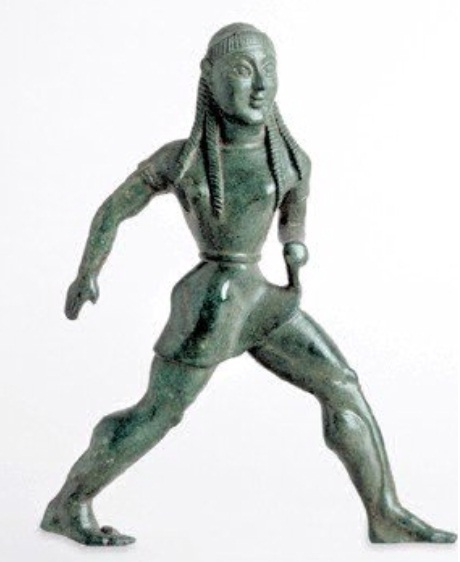 They were famous throughout Greece for their strength, endurance and athleticism.